A vertical shooter where you take control of a spaceship and take down enemy spaceships. 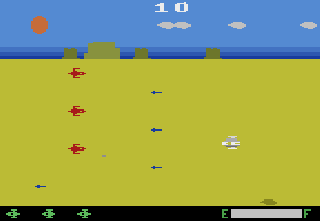 The player's ship has a shadow which makes the game appear like it has a 3D environment, but all the other enemies appear 2D. You only have 2 lives and when night comes you can't see a thing. The levels are almost the same thing, except that there are more enemies. Not a title I would recommend. Now you can add videos, screenshots, or other images (cover scans, disc scans, etc.) 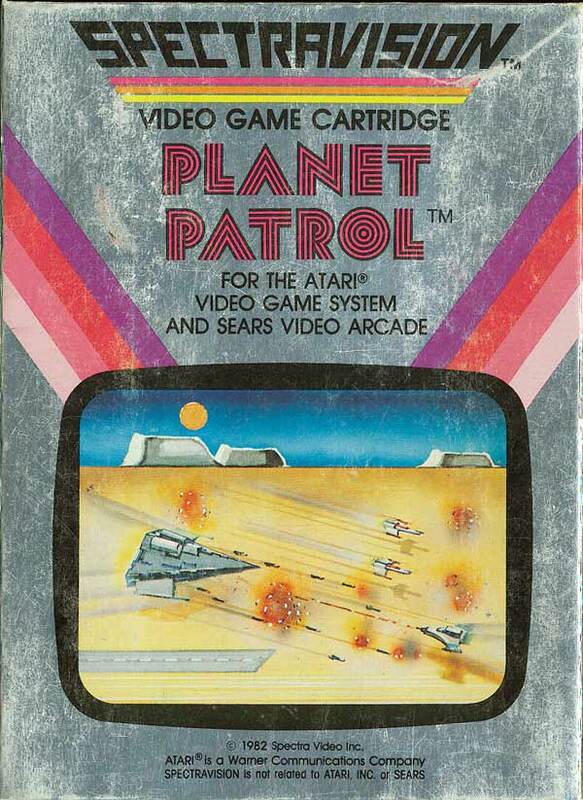 for Planet Patrol (1982) (Spectravision, Spectravideo) (SA-202) to Emuparadise. Do it now! If you haven't noticed yet, we have a retro game of the day feature (top-right of the screen) wherein we feature a new retro title every single day! Now, you can vote for your favorite games and allow them to have their moment of glory. Click on the button below to nominate Planet Patrol (1982) (Spectravision, Spectravideo) (SA-202) for Retro Game of the Day.